So, yesterday was “Free RPG Day”. For those of you who don’t know, participating game stores buy boxes from the Free RPG Day organizers which are chock full of free game material. Usually this consists of one-off adventures, quick start versions of rules, that kind of thing. And for Castles & Crusades, Dungeon Crawl Classics, and Star Wars: Edge of the Empire, that is precisely what I got (there were some others, but I didn’t want to grab stuff just for the sake of grabbing stuff when other people might get more use out of it). 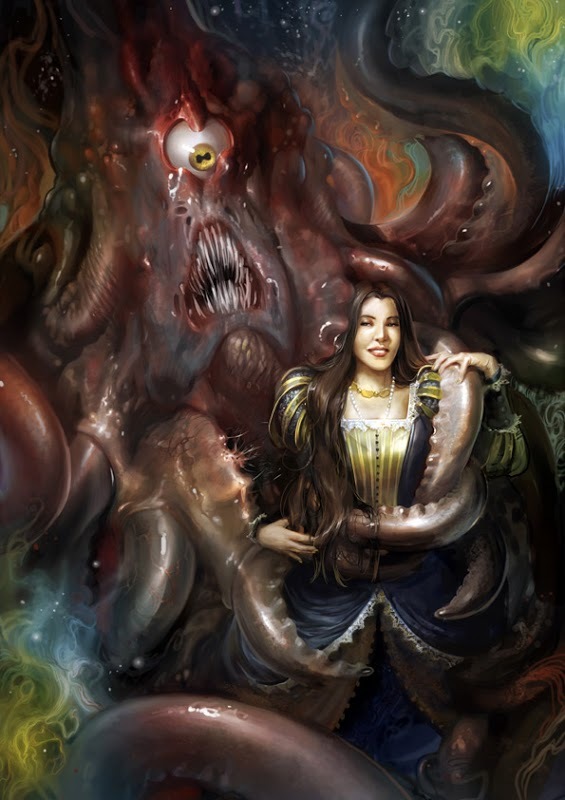 But this year had the totally awesome not-quick-start, not-all-ages-appropriate “Better than Any Man” by James Raggi from his own Lamentations of the Flame Princess line of adventures. It’s like a mini-campaign setting (Lower Franconia being invaded by the Swedish king Gustavus Adolphus – yes, it is a historical setting, just like “The God That Crawls”). I’m about halfway through reading it now, and it is awesome. Tons of disturbing content, chock full of Raggi’s signature “not just kill your characters, but fundamentally alter them and/or the world” spells and encounters. Much like “The God That Crawls” I will personally most likely not follow Raggi’s advice from the referee book in the Grindhouse edition of LotFP – which is to make only the tweaks necessary to make an adventure fit in your world and then nothing else – because, well, I’m just not that mean. But I like to include some of his stuff to force myself to play for keeps. If you were not lucky enough to have a participating local game store, or to make it to one, Mr. Raggi plans to have a few leftovers available for cheap from the online store soon. Or you could talk to some people who maybe did get their hands on one. And once the exclusivity of getting one at Free RPG Day wears off, I think he’s talked about making a PDF version available for sale. If so, I super recommend you get it. Really just ridiculous how much good stuff is packed in there for free. It’s bigger than all previous LotFP adventures, so it’s easily worth 15-20 bucks print and 5-10 pdf. And that’s a low-ball. He could probably ask for more and it’d be worth it. So, sorry to gush, but it’s good, it’s exciting, and you should try to find it. This entry was posted on June 16, 2013 at 8:47 pm and is filed under RPGs. You can follow any responses to this entry through the RSS 2.0 feed. You can leave a response, or trackback from your own site.